The White Horse Folk Festival is a small folk festival that takes place every year in locations in and close to the festival headquarters in Grove. 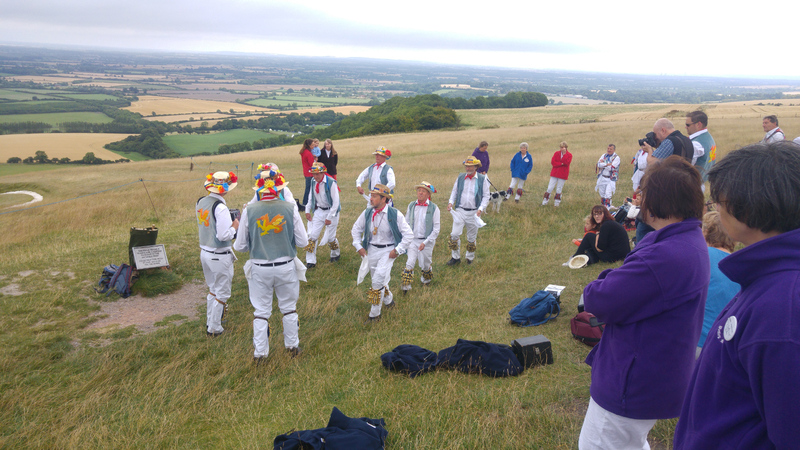 The day starts with a group dance on the top of the Uffington White Horse. 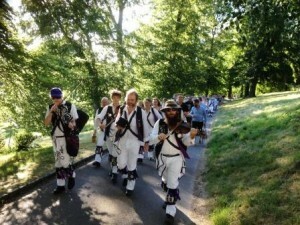 We were one of the six sides that ascended the top to bemuse the various walkers and other visitors. 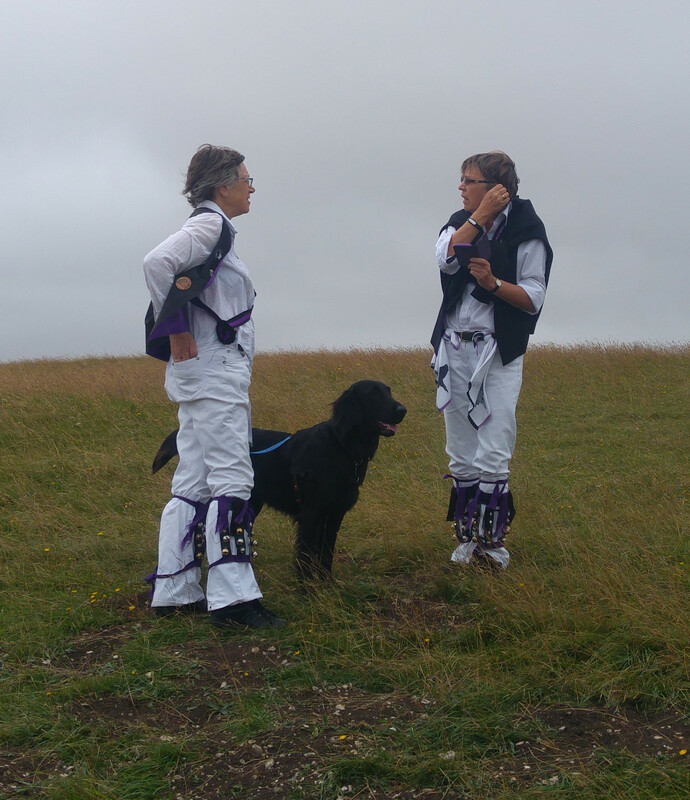 Kate, Charlotte and Murray at the White Horse. As you can see, the morning weather was a a little restrained for August. 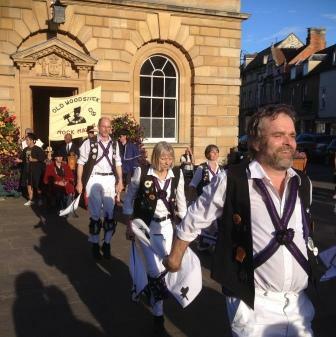 At midday we returned to dance at a couple of locations around the centre of Wantage. 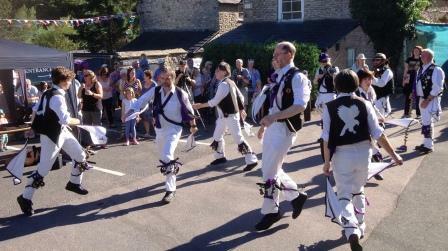 The day finished with a massed dance in Grove. By this stage the cloud layer had burnt off, and it was decidedly hot and sweaty by the end. 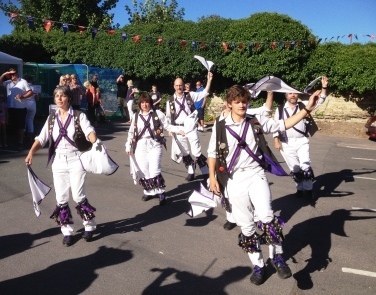 This entry was posted in Dance Outs, Folk festivals on August 31, 2016 by Jim Hague. 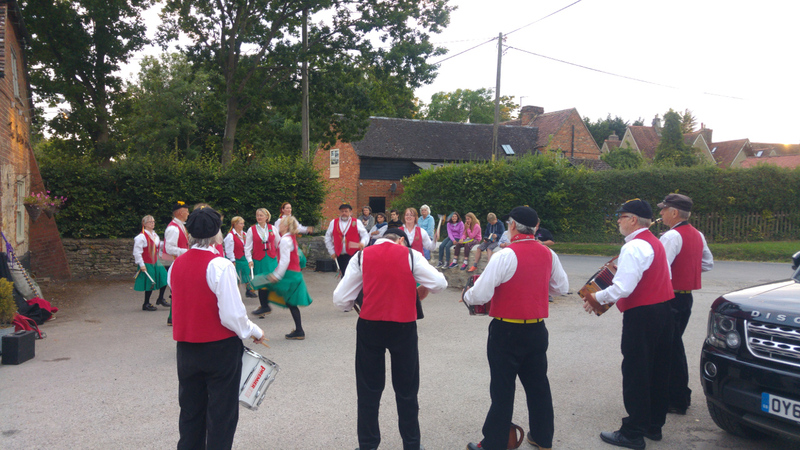 The last Thursday in July saw our last Thursday evening dance out of the season. 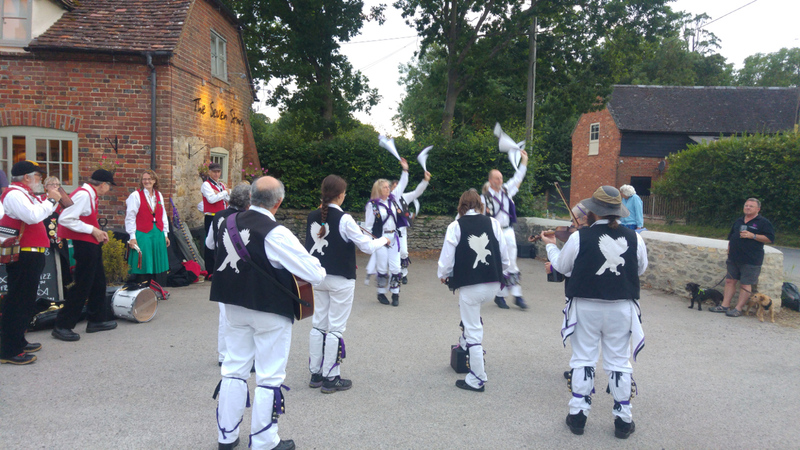 Together with guests Old Specklen Hen we were at the Seven Stars in Marsh Baldon. It’s an attractive location by the green, and after some trials and tribulations the pub is now a community owned venture and appears to be thriving. We decided to occupy part of the car park, and had a small contingent of watchers. Who then found themselves press-ganged into a Shepherd’s Hey. It’s a risky business, watching Havoc. 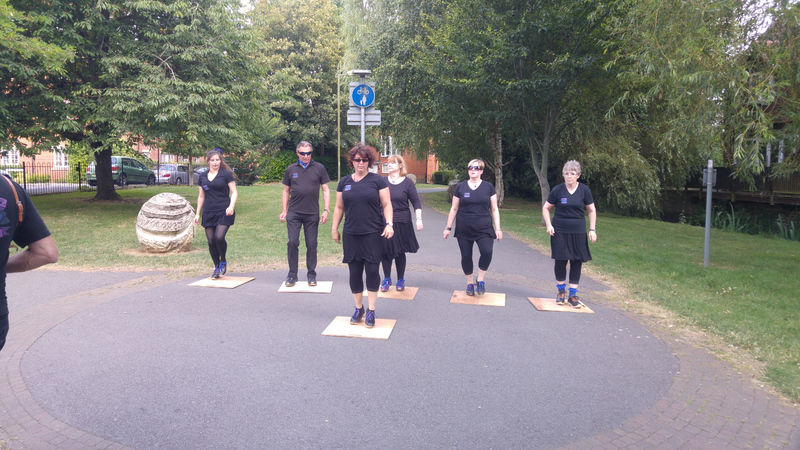 This entry was posted in Dance Outs on August 7, 2016 by Jim Hague. Where Mayors meet and Squires smile! This entry was posted in Dance Outs on August 7, 2016 by Nigel Northcott.